Enger Tower and its Gardens are a favorite picnic spot for Duluthians. 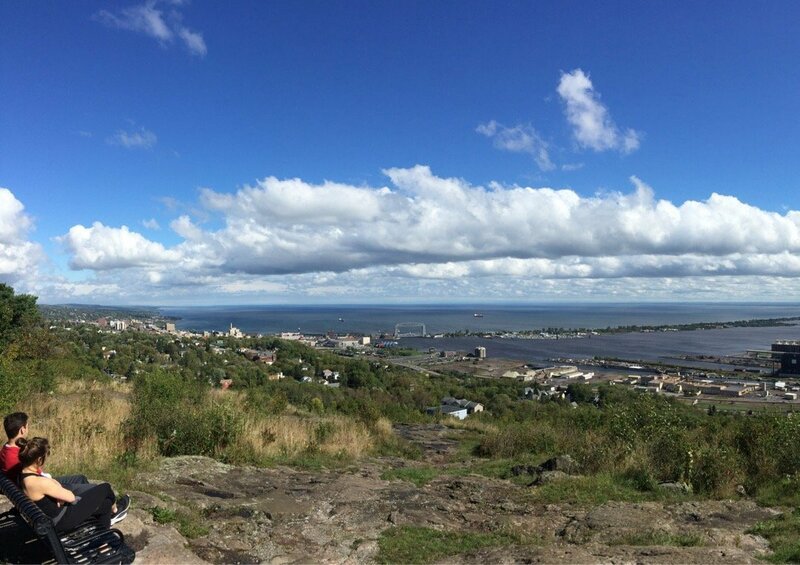 Located near US Hwy 53 North and Duluth Minnesota's skyline parkway, The 80 foot high Enger Park Tower was dedicated in 1939 by Crown Prince Olav and Crown Princess Martha of Norway. The tower provides perhaps the best scenic overview of the city. 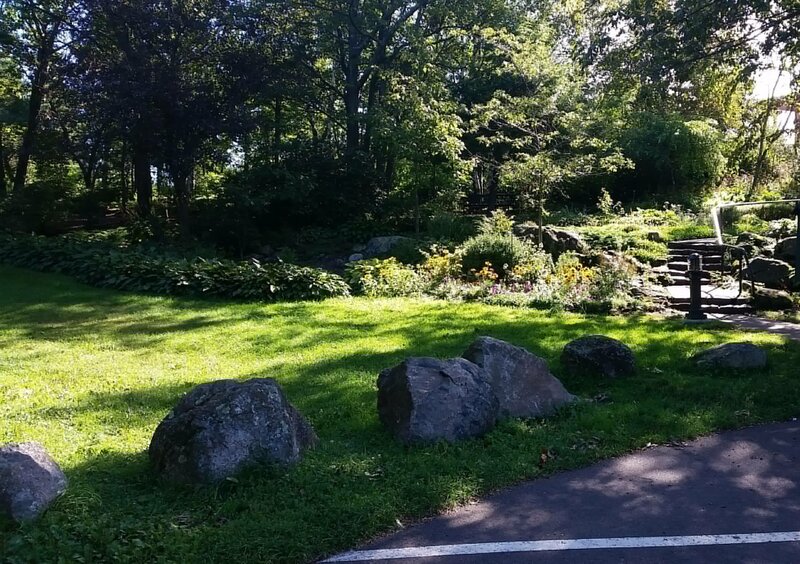 The park also offers hiking trails and a beautiful garden featurings Hostas and hundreds of other colorful plants and flowers line the trails throughout the park. One of the features that makes it a popular spot for weddings.